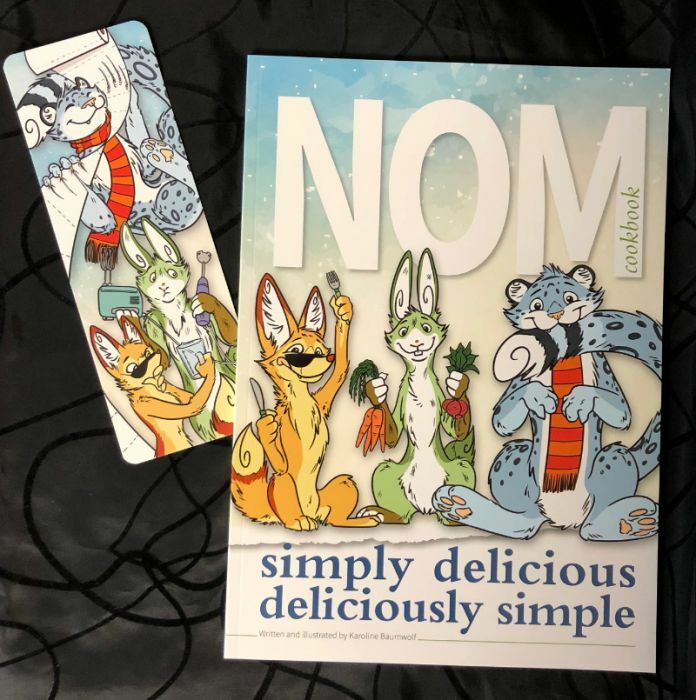 NOM - because the recipes you will find in this cookbook are deliciously simple and simply delicious. 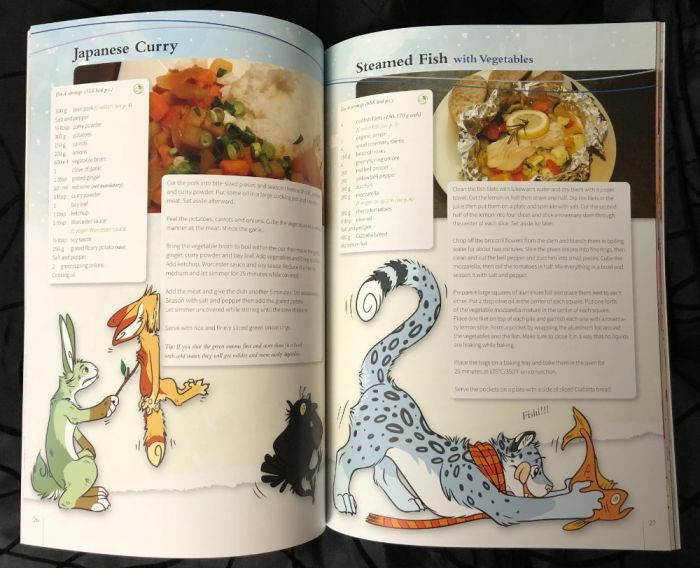 Embark on a culinary journey across the globe with your fluffy hosts Fahrenheit the fennec fox, Celsius the snow leopard, and Kelvin the hare. 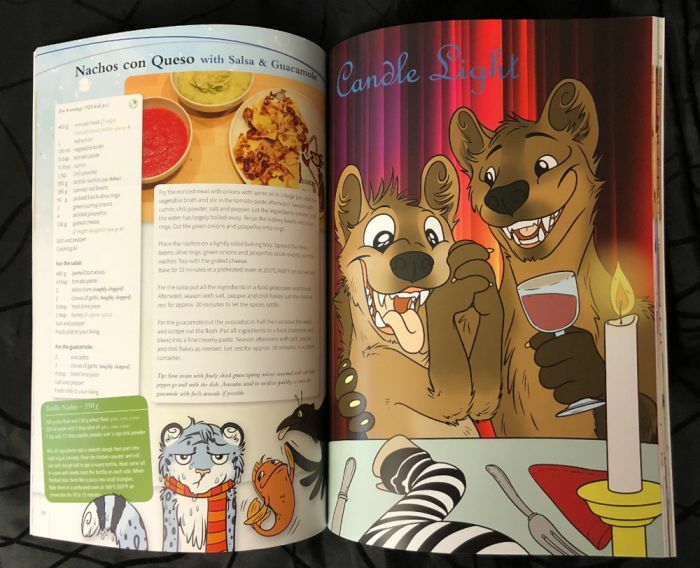 Together with their friends, they will show you a world of fun, creativity and tasty food! 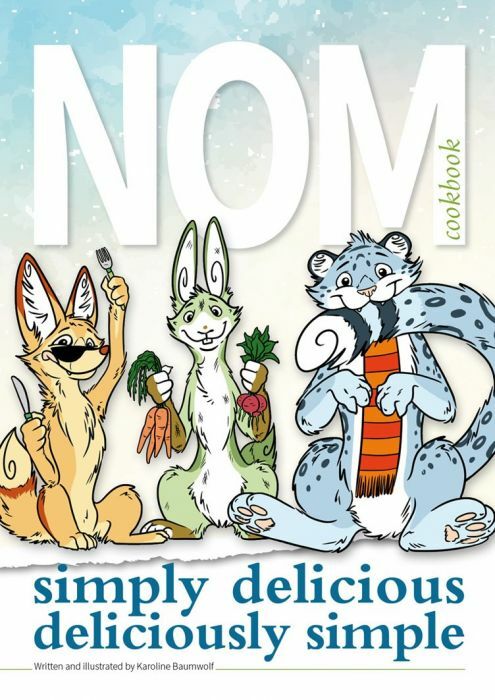 NOM presents a diverse collection of recipes for a variety of occasions. What they all have in common though is that they are incredibly NOM! 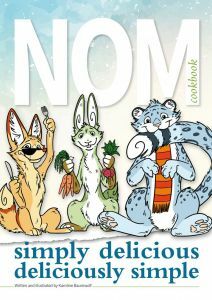 NOM also caters to vegans, vegetarians and everybody who prefers to go meat-free every now and then. 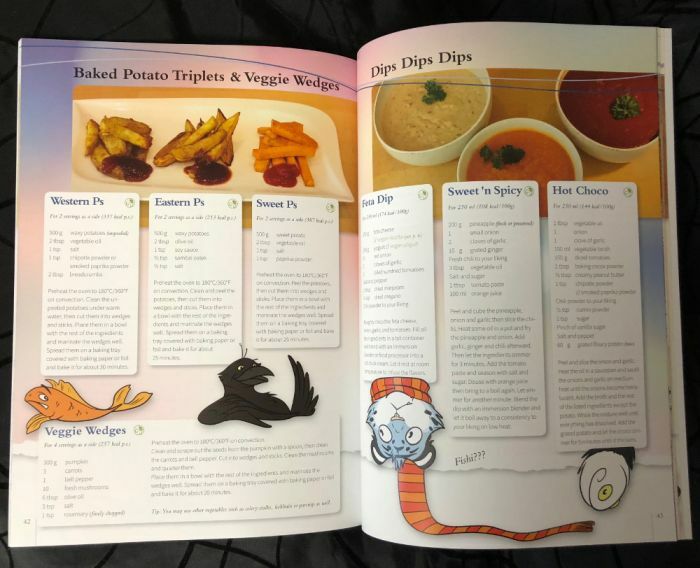 Almost every single recipe includes a tasty vegan variant. 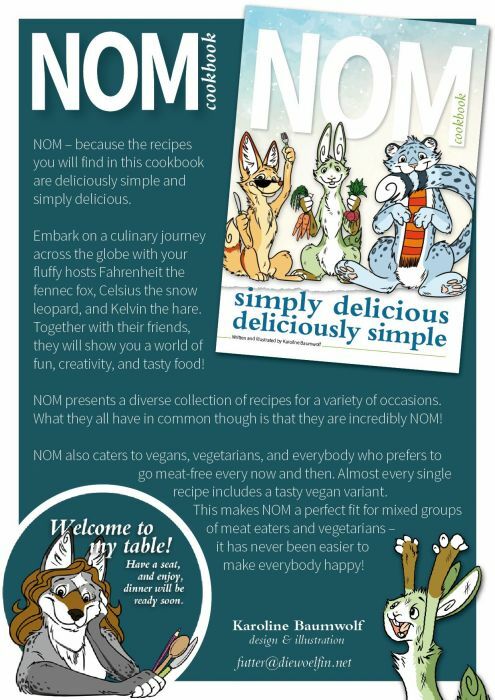 This makes NOM a perfect fit for mixed groups of meat eaters and vegetarians.